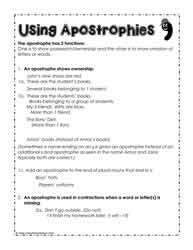 How to use an apostrophe. 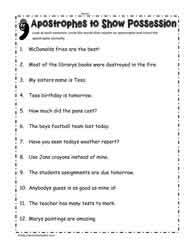 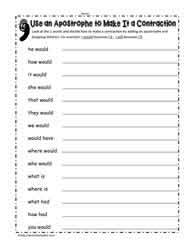 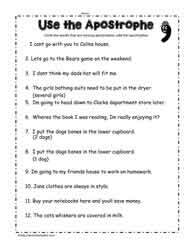 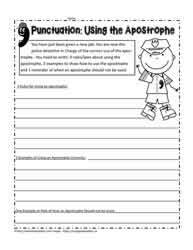 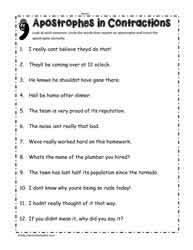 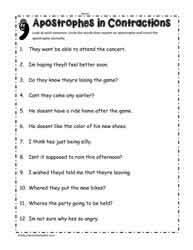 Apostrophe worksheets, punctuation worksheets, punctuation lesson plans. 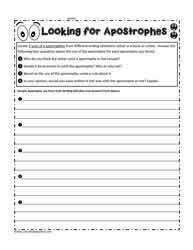 Learn how too use the apostrophe with these apostrophe worksheets and printables. 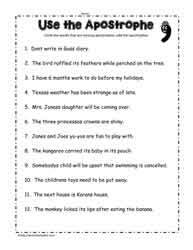 Apostrophes indicate possession or they will indicate words missing. 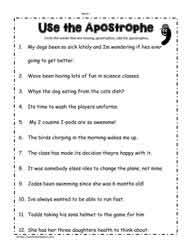 Plenty of practice with worksheets and with feedback regarding errors helps students use the apostrophe appropriately. 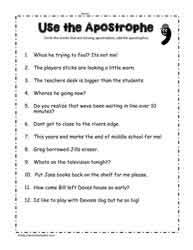 Are you an Apostrophe Detective?